Taylor Sims is a graduate of Western Sydney University having completed a Bachelor of Health Science/Masters of Physiotherapy in 2017. Taylor’s drive for excellence resulted in her being awarded an Academic Scholarship to the University of Western Sydney in 2014. In the same year she also earned a place on the School of Science and Health Deans Merit List and became a member of the University of Western Sydney’s distinguished club, The Academy for Academic Excellence. These achievements spurred her on to be accepted as a member of the Golden Key International Honour Society in 2015. Taylor’s deep passion for musculoskeletal physiotherapy and paediatrics has led her to The Healthy Body Company in 2017. Her beliefs are cemented in providing the best quality of care for all patients with an understanding of the value of teamwork amongst therapists and patients alike. Endeavouring to meet each patients needs and goals, Taylor incorporates a hands-on and exercise based approach to treatment centred around the best available evidence. She believes that the best outcomes can be achieved through a patient centred approach, taking the time to provide an education and understanding of a patient’s condition to empower each client to strive for better health. With a keen interest in sports, Taylor grew up playing and referreeing Netball. Taylor is a Level One Sports Trainer in 2016. For the love of the sport she continues to play for her local team with friends, and she also enjoys running and an active outdoor lifestyle. 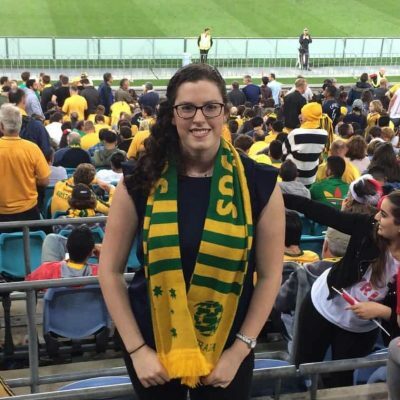 Away from work, Taylor values her time spent with her family and friends, as well being a proud supporter of the Socceroos and her favourite rugby league team the Cronulla Sharks! Taylor is a member of the Australian Physiotherapy Association.